Located in Valencia, the veterinarians at Animal Medical Center are committed to your pet's health. Valencia-based Animal Medical Center, founded in 1990, excels in the science of veterinary medicine. Since then Dr. Oh and associates have excelled in compassionate veterinary care for pet owners in Valencia, San Fernando Valley, Palmdale, Lancaster and the surrounding communities. 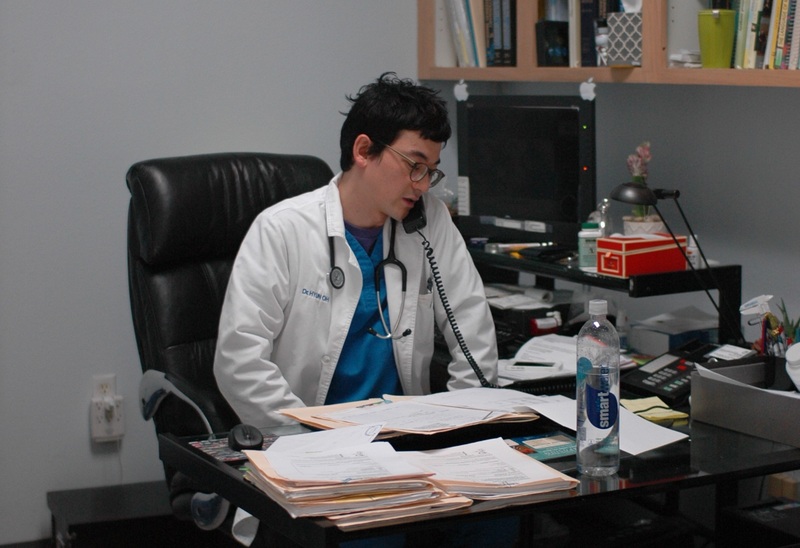 Our veterinarian, Dr. Oh, has over fifteen years of experience keeping pets healthy. From making sure your puppy and kitten gets started on the path to a healthy life, through pet preventative care for adult dogs and cats, and on to compassionate pet senior care, he is there at every stage of your pet's life. The Animal Medical Center is a full-service animal hospital. We are committed to perpetual advancement in clinical and surgical techniques to provide the most advanced and cutting-edge technology for your companions. We strive to be at the forefront of any breakthrough and offer it to our clients as quickly as possible to provide better, more successful medicine. Our commitment to progress and our history of quality allows us to maintain a long, healthy life for your faithful companion. As part of a lifetime of pet preventative care, our veterinarian will start your pet off on the path to health with the proper pet vaccinations. If you are not planning to breed your pet, our veterinarian recommends a pet spay and neuter surgery to prevent unwanted pregnancies. A pet spay and neuter surgery may also prolong the life of your pet by reducing the risk of several diseases. Our doctor will then advise you on pet preventative care tips you can follow at home, including giving you pet dental care tips to help keep your pet's teeth healthy and strong. As dogs and cats grow, their veterinary needs may change. Pet preventative care services from our Valencia veterinarian include regular pet vaccinations, ongoing wellness examinations, pet dental care, and disease prevention. If your pet should ever become ill, we offer full diagnostic and treatment services for dogs and cats. We can provide blood testing and radiology services to help in the detection and diagnosis of disease. If surgery is required we will perform it in our advanced surgical unit. Where possible we use laser surgery techniques to minimize pain and speed recovery. During the final stages of life, our pet senior care services can provide pain management for arthritis and other conditions to help your pet stay happy and healthy as long as possible. We offer complete grooming services to keep your pet looking its best. Our groomer also looks for any signs of ear infection, fleas, ticks or skin irritation while they are grooming your pet. If you need pet boarding services, our facility offers a limited number of runs and cages. Should your pet exhibit any unusual symptoms while staying in our boarding facility, our team can easily bring your pet to see its trusted veterinarian. Our hospital offers extended evening and weekend hours, advanced medical services, and a highly knowledgeable and well-trained support staff ready to help provide a happy and healthy life for your loyal companions. We are open for appointments during normal business hours Monday through Saturday.